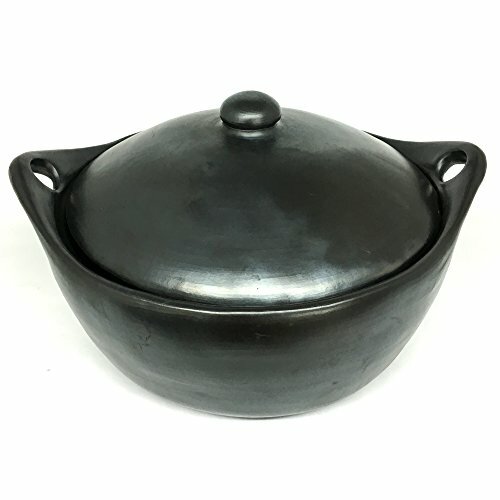 Black Clay, La Chamba Stew Pot - Colossal - 13.5 Quarts ~ Casseroles ~ Rika Jones - buy kitchen cookware with confidence! 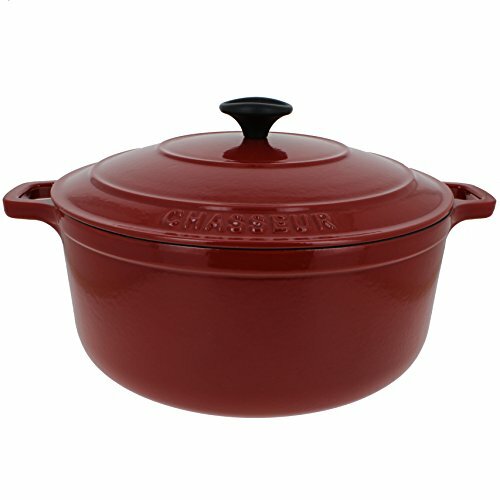 Look at the size of these pots. 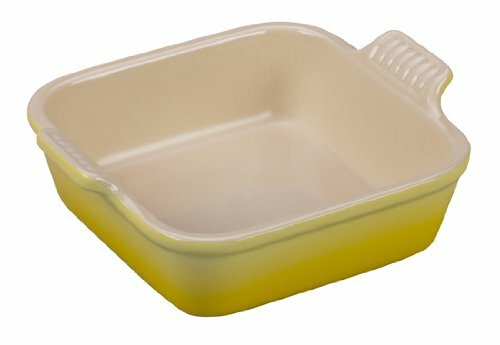 They are big enough for any large recipe. 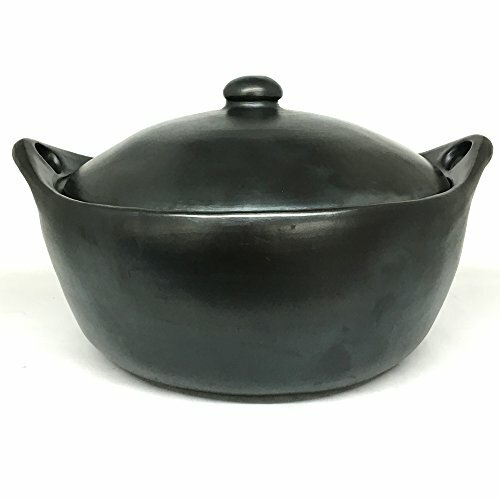 Covered stew pot with flat bottom. 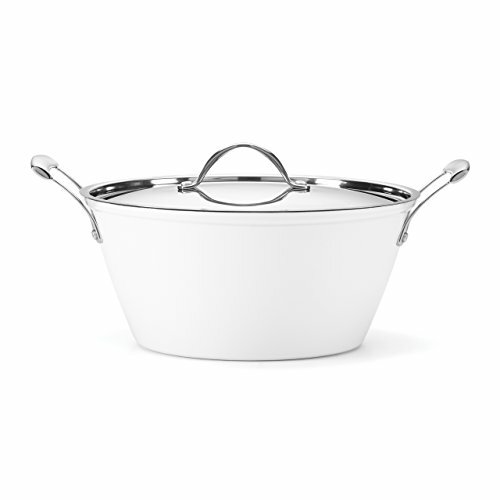 Length 18.5 in (including handles) x Width 16 in (from outside), Height 10.5 in (with the top of the lid handle), Diameter 15 in (from inside) and Capacity 13.5 qt (filled comfortably without overflowing). 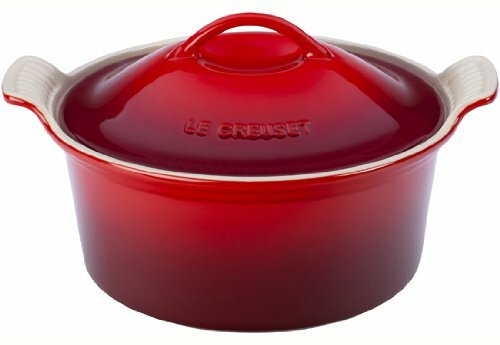 Big enough for a large recipe. 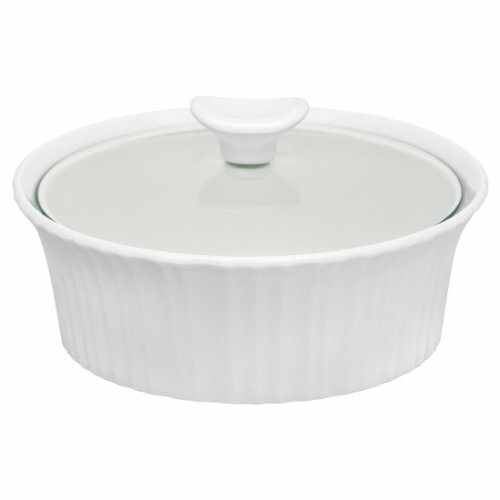 Well suited for microwave, gas or electric ranges and perfect for placing in an oven for finishing stews or rice dishes and serve in the table for a great presentation. 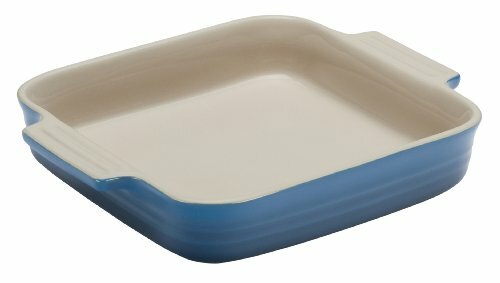 It heats very evenly and retains heat for a long period. 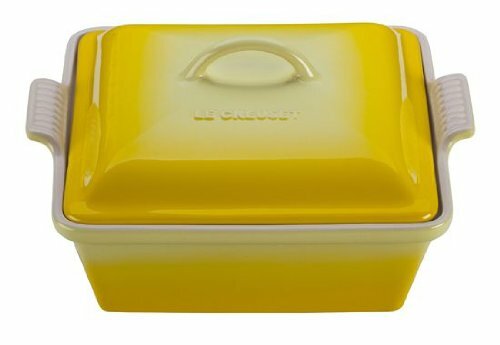 Completely natural and safe, contains no toxins or lead and the porous nature of the clay allows the slow evaporation of steam and produce food that is healthier, tastier, and moist using less fat and liquids. 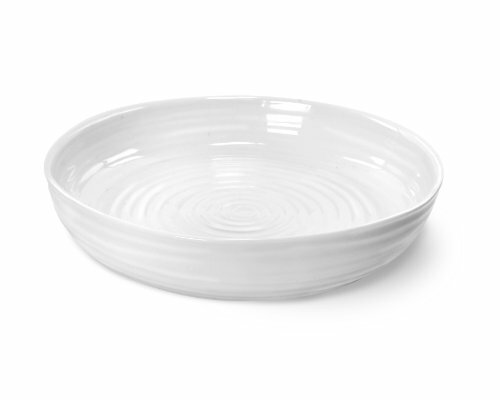 Its oval shape provides more room and can even accommodate whole poultry for dishes such as Korean Whole Chicken Ginseng Soup. 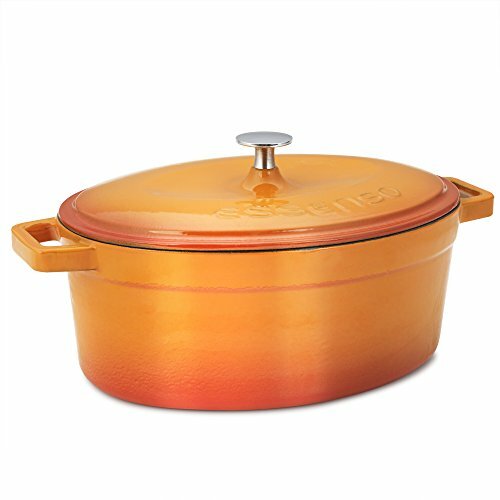 Perfect for slow cooking soups, stews, and casseroles. 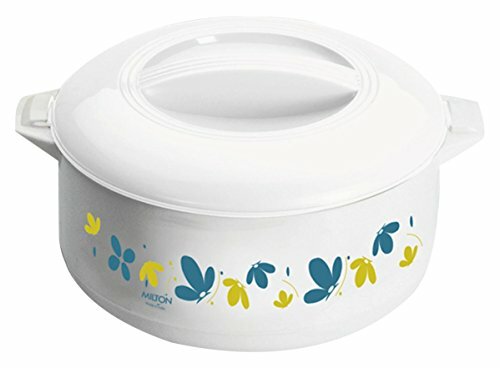 Will last many years with proper use and care (each piece comes with a product information sheet outlining the Uses and Care for the product). 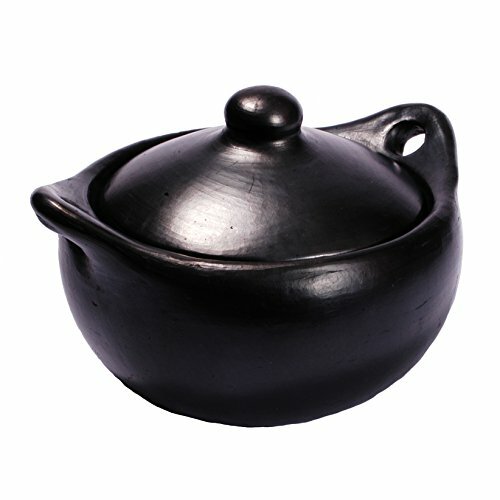 Black Clay, La Chamba Cookware, is well-known and used throughout Colombia in restaurants and homes for preparing and serving traditional dishes. 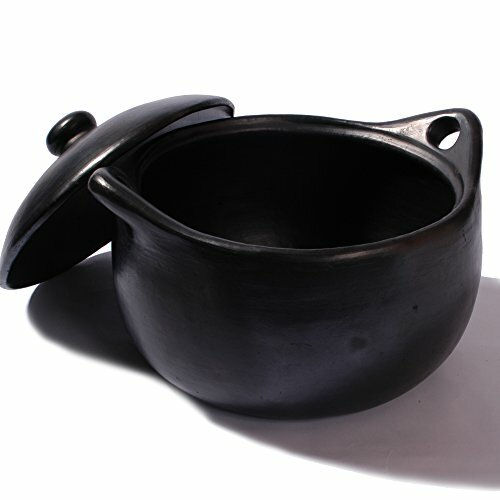 Its origins can be traced back at least 700 years to vases and pitchers found in pre-Columbian archaeological sites. It is still made in the traditional manner, by families in a small village on the banks of the Magdalena River in Central Colombia. Each piece is hand-made using local area clays, then hand burnished with a stone. 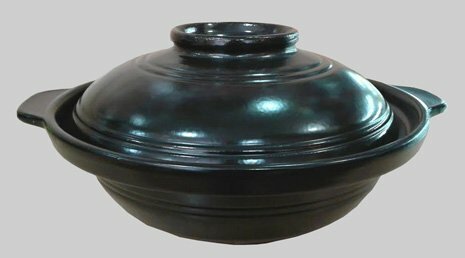 The pieces are then fired in the village, giving them the distinctive black color and elegant look.